ADAM JACOBY, is a serial entrepreneur, who has (co-) founded numerous businesses, including market leaders IMS Sports and Lifelounge.com. With deep expertise in innovation and fast growth business development, Adam was the CEO of BRW’s 2010 Fastest Growing Private Company (under $100M). Some years ago he pondered a new challenge:democracy. Could politics become fairer and more inclusive if he thought about democracy as a product of his newest venture? 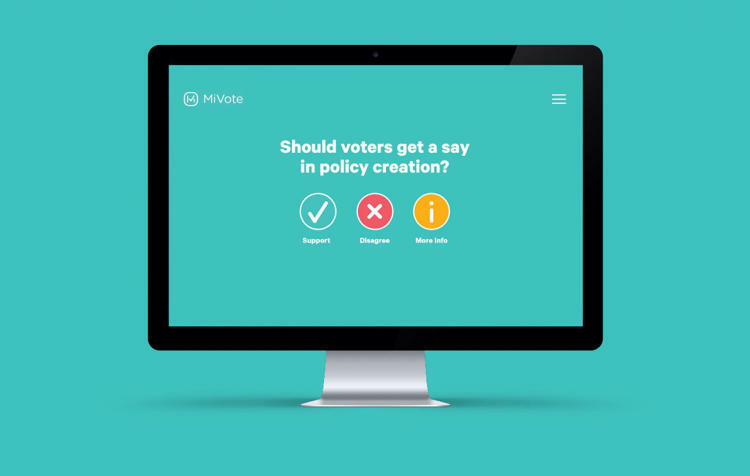 The result was MiVote – an app-based democratic platform which launched on February 11 2017 in Australia. It aims to rethink how citizens participate in governance. Instead of voting only in elections, people using the app can share their views on every issue the government considers. A project of the Centre for the Future, MiVote is the result of five years of detailed planning, development and collaboration. Adam is Founder and Chief Steward. He was ranked in the Codex World’s Top 50 Innovators from the Industries of the Future 2017. As a democracy warrior, his objective is to enhance democracy for every citizen on earth. Like Democracy Earth, a nonprofit that started in Argentina, MiVote uses the blockchain to make digital voting and identity fully secure. Democracy Earth also plans to use a similar model of representation, running candidates who promise to adhere to the results of online votes rather than a particular ideology. 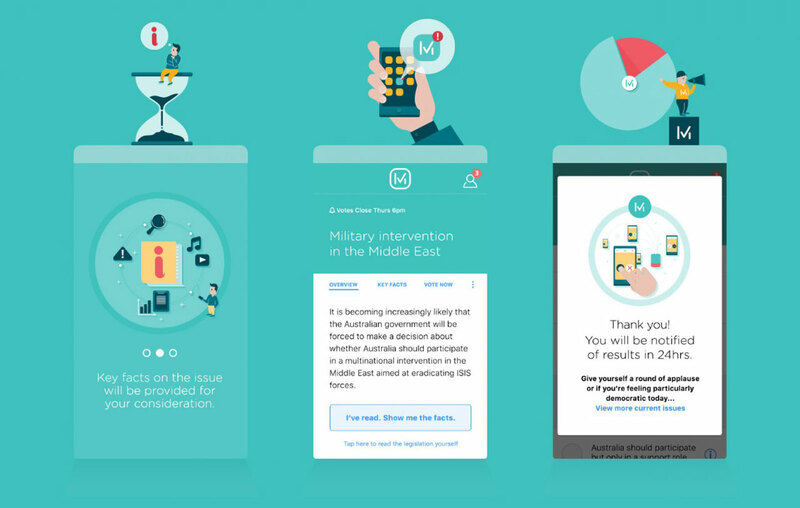 But MiVote takes a somewhat different approach to gathering opinions. The app will give users a notification when a new issue is addressed in the Australian parliament. Then, voters get access to a digital “information packet,” compiled by independent researchers, that lets them dive into four different approaches. If the parliament is going to vote about immigration, for example, you might get details about a humanitarian approach, a border security approach, a financially pragmatic approach, and an approach that focuses on international relations. For each frame of reference, the app lets you dive into as much information as you need to decide. If you don’t read anything, it won’t let you cast a vote. It also removes corporate influence. MiVote has pledged only to take individual donations, and because future representatives would have to vote based on what the people want (with a 60% majority), there’s no opportunity for companies to try to sway those votes. The startup may also spread to other places; the founders have had interest from 22 different countries. The model is highly transferable.